When my sister first came to me with the idea of starting up a hobby never in my wildest dreams would I have imaged knitting would be her first suggestion! "Come on", she says..."it would be a great hobby! It's relaxing, exciting, crafty and rewarding! I promise once you try it you'll love it!" 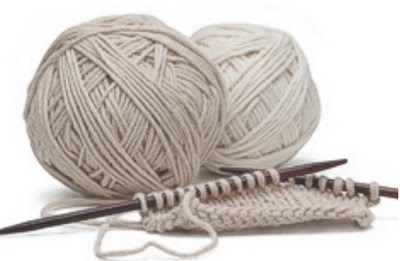 Now I admit the thought of knitting provoked fears of comparisons to tiny grandma's in rocking chairs...little balls of yarn at their feet...blankets on their laps. Boy have things changed! There's a million different types of fibers and gorgeous colors...oh the colors!! I was overwhelmed and in LOVE! OK I'll give it a shot I said, but don't expect me to be knitting sweaters anytime soon. I could never be that good. 6 Months later and I'm almost finished with my first cardigan! 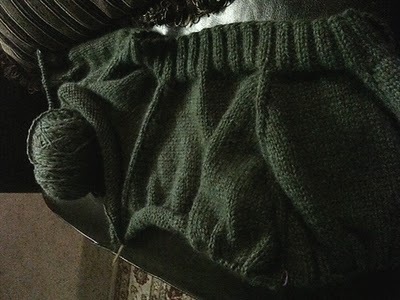 I'm excited and love the top down construction and LOVE the Plymouth Baby Alpaco Ampato I've chosen for the project!